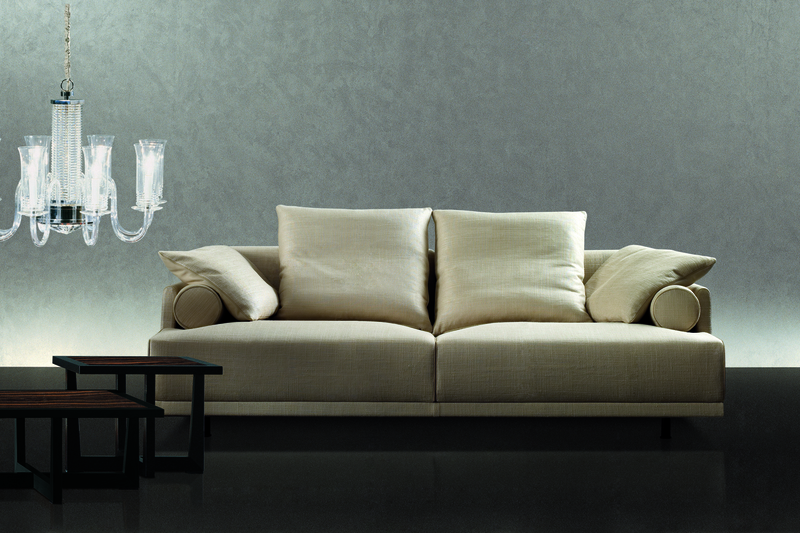 Series of armchairs and sofas, with removable upholstery available in three versions: completely in fabric, completely in leather or fabric leather which includes the frame in fabric, the piping in leather, the backrest and the roll cushions in fabric leather. The base frame is finished in matt black painted metal. The back and the arms are in solid beech wood. The seat and backrest cushions are in multi density polyurethane, covered with fibre, the backrest big cushions fillings are completely in feather and the roll cushions are in expanded polyurethane, covered with fibre. The stool has a frame in solid beech wood. The padding is in multi density polyurethane, covered with fibre. The feet are finished in black painted metal. 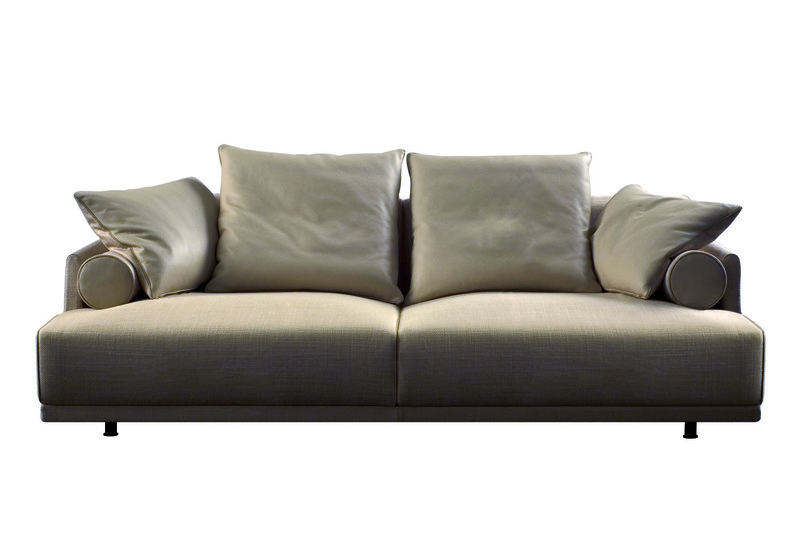 The removable upholstery is available in fabric or leather.